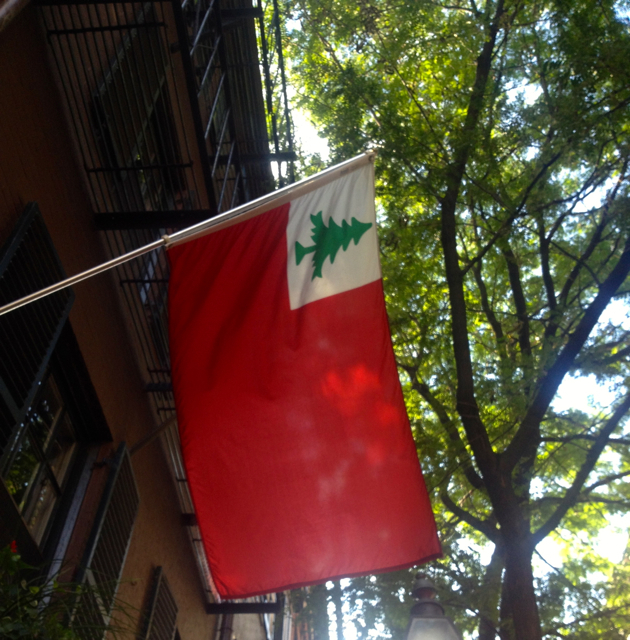 Today I spotted a flag I don’t see very often, even here in New England (although they are plentiful at Revolution games). Its scarcity is ironic given it’s the Flag of New England (one of many variations). Back in colonial times, and later during the American Revolution, there were a wide range of flags used by local communities, government entities, militia companies, etc. A flag similar to this one but with a blue background was reportedly raised by those American rebels at Bunker Hill.